Grey jersey all in one jumpsuit: Topshop (bought it about 3 years ago from the swimwear department, so perfect for this baking heat as the fabric is so light and soft.) 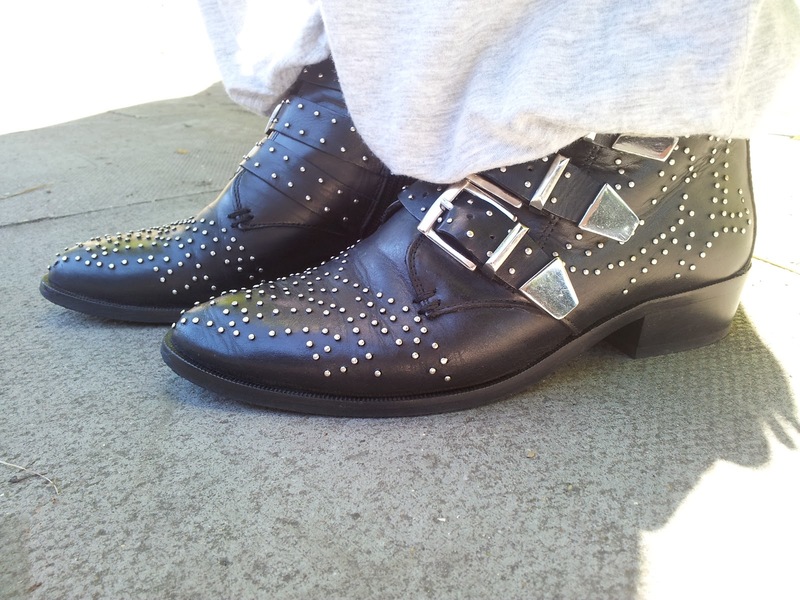 Stud biker boots: Schuh. Floppy hat: Next. (Ooo a new way to hide my face, how exciting.) Floral headband (on hat): Primark. Peace necklace: Market in Spain. Pineapple fringed bag: River Island.